Following the release of his diss album Kamikaze, Eminem surprise-dropped an 11-minute long freestyle – titled “Kick Off” – that takes shots at artists not just confined to the rap game, and some fans are not happy. Embed from Getty ImagesThe video consists of the 15-time Grammy Award winner standing in The Shelter at St. Andrew’s in Detroit, Michigan, spitting rhymes aimed straight at musicians including Ariana Grande and Justin Bieber. The “thank u, next” singer got a nod in reference to the bombing at her 2017 Manchester, U.K. show while Bieber is suspected of selling drugs to Catholic school students. 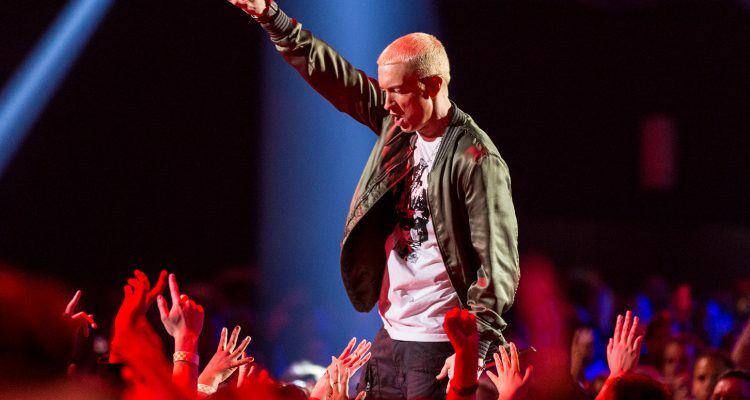 Listen to the freestyle in which Eminem takes no prisoners below.